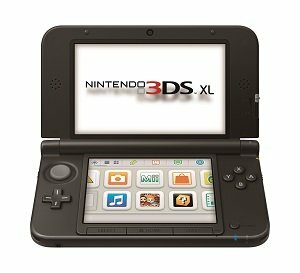 Nintendo 3DS XL - 90 days same as cash! Nintendo 3DS XL System with 4.9″ Active Matrix TFT Color LCD, Dual-Screen Resolution 800×240, 128MB Storage, FCRAM Memory card support, SDHC card support, PICA200 Wireless LAN, 6.5 hr. battery life, 2 Cameras. 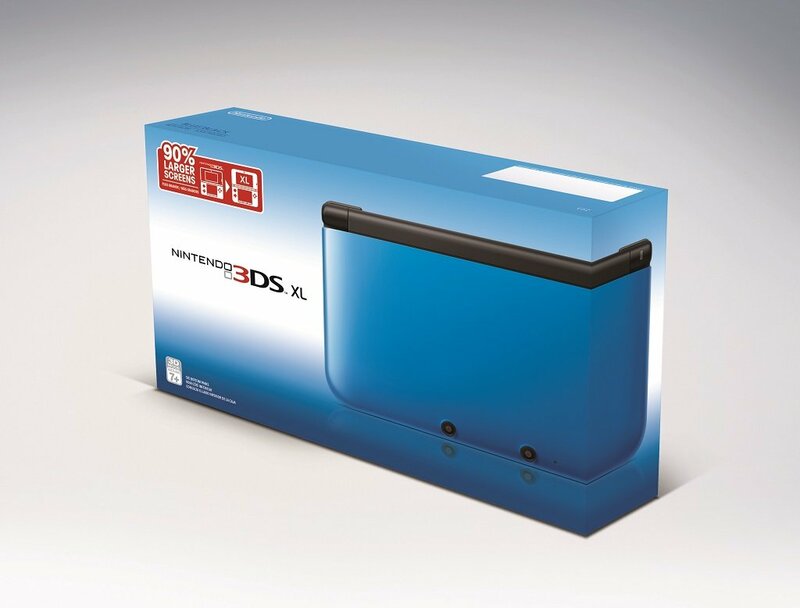 The Nintendo 3DS XL system combines next-generation portable gaming with eye-popping 3D visuals. Take 3D photos, connect to friends, other players, or wireless hotspots with the wireless StreetPass and SpotPass communication modes. With 90 percent larger screens than the 3DS, 3DS XL is the ultimate 3D entertainment system. This model is available in Red, Blue, Silver or Black. Nintendo 3DS XL includes two screens. The bottom touch screen makes use of a stylus that is stored in the unit itself. The top screen displays 3D visuals to the naked eye. Looking at the screen is like peering through a window into a world where characters and objects have true depth. The system also has a 3D Depth Slider that lets players select the level of 3D they enjoy the most. The 3D effect can be ratcheted up to the highest level, scaled back to a more moderate setting or even turned off completely, depending on the preference of the user. The Nintendo 3DS XL system opens up a whole new world of eye-popping gameplay possibilities. The stereoscopic 3D display of the upper screen gives objects within the game world a feeling of space and depth that extends far into the back of the screen. It becomes easier to see the position of characters and obstacles in the world, making many game experiences even more intuitive for all types of players. A built-in 3D Depth Slider allows you to immediately adjust the intensity of the 3D settings on the Nintendo 3DS XL system to your liking. The 3D effect can also be turned down completely – all Nintendo 3DS games and applications can be played in 2D, and look better than any Nintendo handheld before it. Portable play control reaches a new level with these amazing features, allowing for new and unique gameplay mechanics. A built-in motion sensor and gyro sensor can react to the motion and tilt of the system, so whether players are twisting their systems side to side or moving them up and down, their motion-compatible Nintendo 3DS games respond instantly. The Nintendo 3DS XL system uses its two outer cameras to see the world in 3D, much like the human eye. This allows for the creation of 3D photos, 3D video, and even 3D stop-motion animations, that make for an eye-popping addition to your next photo op. Social and wired like no Nintendo system before it, Nintendo 3DS XL brings fellow players together in exciting new ways with StreetPass communication. Set your Nintendo 3DS XL to Sleep Mode and carry it with you wherever you go to exchange game data like Mii characters, high scores, and custom characters with other users you pass on the street. You control what data you exchange, and you can exchange data for multiple games at once, making virtual connections with real-world people you encounter in your daily life. Your Nintendo 3DS XL system can automatically connect to a wireless Internet access point. Once connected, special items will download automatically to your system via the SpotPass feature, even while in sleep mode. Some of these surprise items include exclusive content and promotions from Nintendo Zone, unique 3D videos from the Nintendo Video service, and add-on game content from your favorite Nintendo 3DS games.